About 14 years or so ago, God approached the world’s biggest Yankee and Giants fan with a proposition. In return for the Yankees becoming the first team in MLB history to blow a 3-0 lead and lose a playoff series in seven games (to the Red Sox no less), God would grant the Giants not one, but two, comeback Super Bowl victories against the Patriots. And to sweeten the pot, one of those Super Bowl wins would knock out an undefeated New England team. It was an offer no fan could refuse. Now, as we approach Super Bow LII, the picture is about as bleak as can be for New York fans. Oh woe, it’s come down to this. For a Giants fan, Eagles-Patriots is about as bad a Super Bowl matchup as you could possibly get. Only thing worse would be Cowboys-Patriots. There are so many reasons to dislike both these teams. 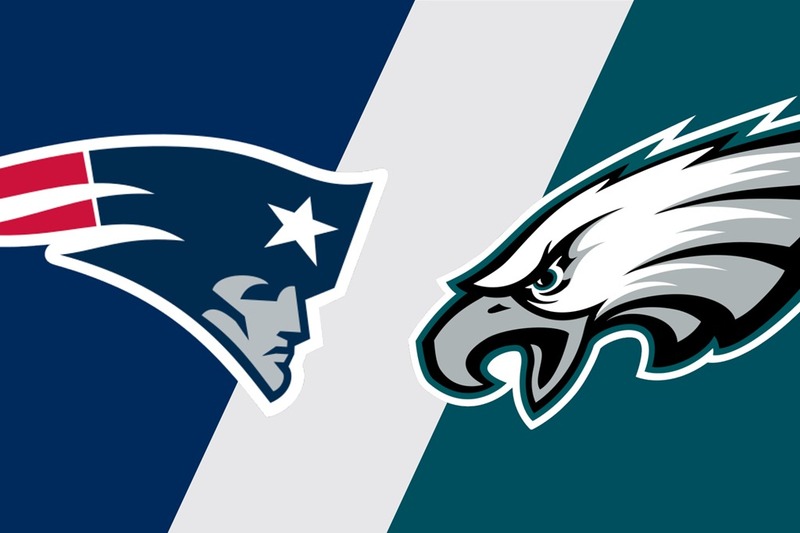 It would be a LII (lie) to say I wanted the Eagles or the Patriots to win Super Bowl LII. But come Sunday, one of those teams will emerge triumphant. 1. They’re an NFC East rival, and play the Giants twice each year. 2. The Eagles have handed the Giants numerous bitter losses over the year, most notably the Chuck Bednarik game in 1960, the Herman Edwards game in 1978, and the LeSean Jackson game in 2010. Those losses and others still cut deep. 3. Philadelphia fans booed Santa Claus. 4. Those some Philadelphia fans cut the brake lining in my nephew’s van during a Giants game at Lincoln Financial Field several years ago. Seriously. Fortunately noboby was injured when the van crashed into a cyclone fence. 5. Philly can’t hold a candle to New York. First prize, a week’s vacation in Philadelphia. Second prize, two weeks vacation in Philly. Get it. 2. 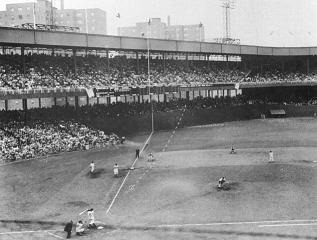 Most of their fans also root for the Boston Red Sox. 3. They cheat. Too many controversies, ie Spygate and Deflategate, make it appear more than simple coincidence. 4. The refs are on their side. I mean how many calls go New England’s way? There oughta be an investigation. 5. Boston can’t hold a candle to New York. The Big Apple vs. Beantown. Yeah right. There’s only one saving grace in Super Bowl LII, and it leans towards the Pats. If the Patriots win, at least the Giants can claim the only Super Bowl victories against New England in the Brady-Belichick era. New England under B&B is presently 0-2 against the Giants in the Super Bowl, and 5-0 against the rest of the league. Go Pats I guess. Good luck New England. Not really. Will ‘Minny Miracle’ reverse the Vikings curse? Maybe, just maybe, the Minny Miracle has reversed the longstanding playoff curse that has bedeviled the Minnesota Vikings. It’s hard to find a more improbable ending to a football game than the play that gave the star-crossed Vikings a 29-24 victory over the New Orleans Saints and a ticket to the NFC Championship game. More improbable than the Immaculate Reception of 1972 or the Music City Miracle of 2000? The craziest ending to a playoff game in NFL history? Yeah, why not? 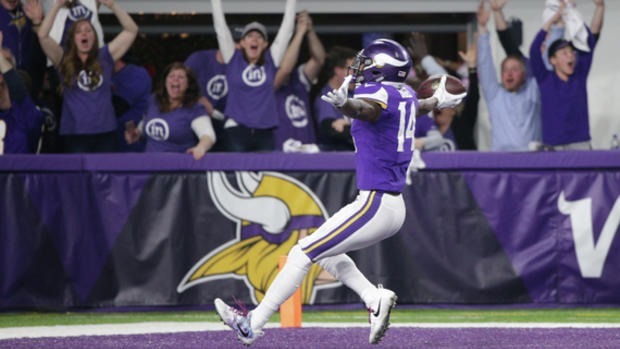 Visions of Super Bowls danced in the heads of Viking fans when Stefon Diggs leaped for Case Keenum’s desperation pass, somehow eluded two defenders and raced down the sidelines to complete an unbelievable 61-yard touchdown pass. The Vikings, founded in 1961, have played in four Super Bowls – and lost all four, the last to the Oakland Raiders 41 years ago. Minnesota shares the title of biggest Super Bowl loser with the Buffalo Bills, also 0-4. However, the Vikes have come close many other times, only to suffer playoff disappointments. Here are the top five Minny heartbreakers. 2015 – Kicker Blair Walsh hooks a last-minute, chip shot field goal as the Seattle Seahawks hang on to defeat the Vikings 10-9 in a divisional round stunner. 2010 – Three fumbles, two by Adrian Peterson, and a Brett Favre interception that led to overtime were crucial in this loss. The Saints went on to win 31-28. 2001 – The Vikings appeared primed for their first Super Bowl appearance in a quarter century. But they ran into a New York Giants buzz saw and suffered a 41-0 loss, the worst setback in NFC Championship game history. 1999 – Gary Anderson, perfect in the regular season, missed a 37-yard field goal that would have given the Vikings an insurmountable lead late in the NFC Championship game. The Atlanta Falcons scored the game-tying touchdown in the final minutes. Minnesota, 15-1 in the regular season, lost the coin flip in overtime and never got the ball back as Morton Anderson’s 38-yard field goal won it for the Falcons. 1975 – In the play that birthed the term “Hail Mary,” Roger Staubach connected with Drew Pearson on a 50-yard touchdown in the waning seconds and the Dallas Cowboys squashed Viking Super Bowl dreams with a 17-14 victory at the old Metropolitan Stadium.